The 20ft Long 2" Water Suction Hose by Abbott Rubber has a Service Rating: Water suction and discharge hose designed for construction mining marine and irrigation purposes. Temperature range: 15F to 150F. Construction: Green flexible abrasion resistant PVC with a rigid PVC reinforcement for full vacuum. smooth bore. Also available in clear construction. 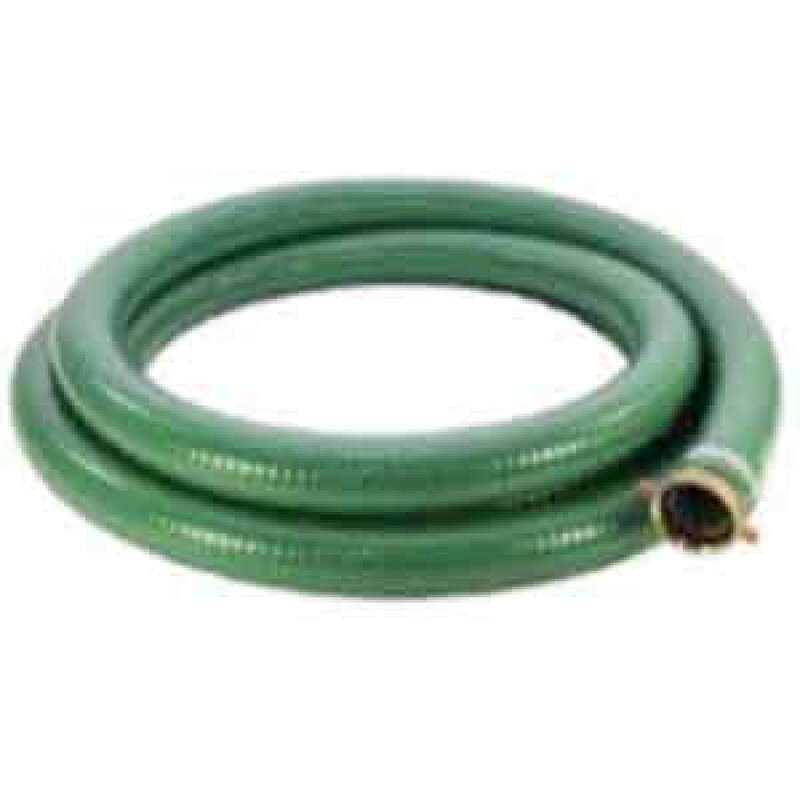 These Abbott Rubber 20" Long 2" Water Suction Hoses are actually 2-1/4" in diameter, included adapters make them compatible with most 2" port water pumps. Perfect for all kinds of water handling and removal projects. Equipped with male and female threaded quick coupling adapters. Can be used as a discharge hose as well. Dozens of lengths and styles of hoses are available.